“The Lansdowne project is a bit different than others because we need to take the time to do everything to perfection because we have only one chance to move this building and we need to do it the right way. 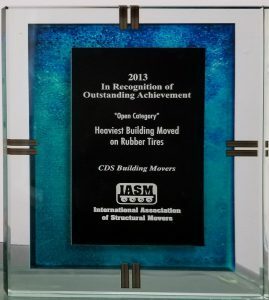 CDS Building Movers is a member of the International Association of Structural Movers. This 250-member Association operates from Alaska in the United States to New Zealand. We provide comprehensive liability and structural coverage while your building is in our care. 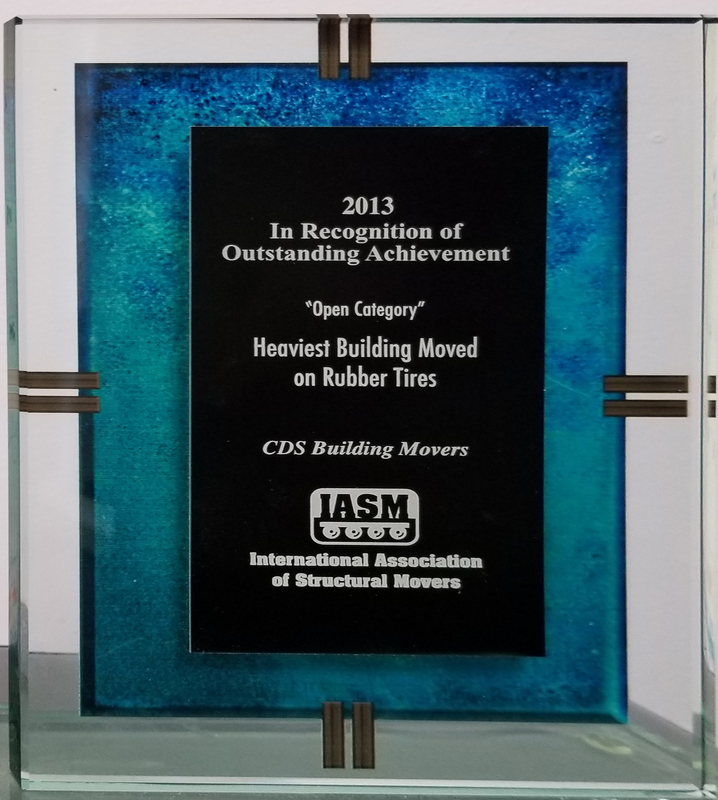 Our company is insured to work in Ontario and Quebec. Please Note: Work performed in Quebec is for on-site only. Our Unified Jacking System is a key piece of equipment when it comes to lifting any type of heavy structure. As its name would suggest, this hydraulic system allows for jacking in complete unison, therefore significantly reducing the amount of stress applied on the structure being raised. Every jack is pressurised independently until every part of the structure is ever so slightly off of its foundation (about ⅛” to ¼” gap between the structure and its foundation). Once every jack has taken on its load, the individual valves for every jack are closed and the unified lifting process may begin. This process allows for us to raise virtually any structure or building regardless of its weight distribution. If a situation were to occur in which our regular 15 ton jacks are unable to take on the weight of the structure, our system allows for additional jacks to be set under the heavy section of the structure. There is also the possibility of using higher capacity jacks that range from 55 to 100 tons rating.